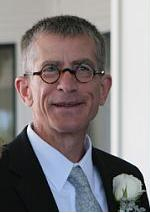 English and American Studies Prof Dennis Barone will present the inaugural Sister Mary Ellen Murphy Faculty Scholarship Award Lecture on Wednesday, Oct. 11 at 4:30 pm in the AV Room of Brunette Anthenaeum at the University of St. Joseph. The award honors a faculty member for research and creative work. 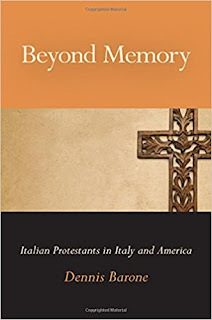 Barone's lecture, "Praying toward Acceptance: Aspects of African, Anglo, and Italian American Cooperation," will describe what is billed as “the circumstances” of the Hartford Italian Baptist Church and Shiloh Baptist Church, an African American congregation, during the early 20th century. The suspense is building as to the circumstances and what Barone will reveal. Barone is a past Poet Laureate of West Hartford and the author of more than a dozen books, including Beyond Memory: Italian Protestants in Italy and America.